Oceanfront CBS 3/2 Home With Concrete Seawall. This meticulously maintained Oceanfront CBS home boasts flawless and unobstructed ocean views from nearly every room of this immaculate home. 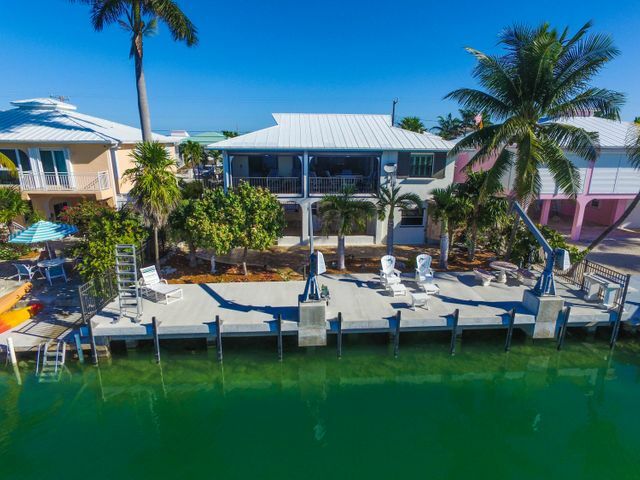 Enjoy world class fishing at your back door with quick access to a deep marked channel to the Atlantic Ocean and Gulf of Mexico. You’ll appreciate the beautiful concrete seawall, outdoor shower, downstairs storage, paver driveway, fenced yard and spacious outdoor living area, which has been lovingly maintained. Magnificent sunsets can be viewed in the privacy of the oceanfront screened porch. The home includes an easy living open floor plan with a gourmet kitchen, all new stainless appliances (3 year warranty), tile floors, new roof to be completed in March, 2019 (comes with a 5 year warranty), and is offered completely furnished.